Hector Heritage Quay, Pictou NS. The Hector Heritage Quay houses a full-scale replica of the Ship Hector, the first ship to solely transport settlers from Scotland to Nova Scotia. There is also a museum on-site which examines the journey the settlers took and the difficulties that arouse. The Quay also has various workshops and events throughout the summer. Open: May 30-Mid-October, 10-4pm everyday. 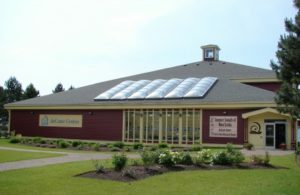 The deCoste Centre, Pictou NS. 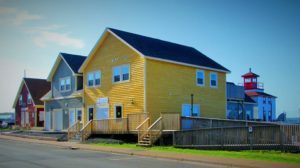 The deCoste Centre is a play and music house that offers some of the finest entertainment in northeastern Nova Scotia. They have various events and themed weeks going on all year round. Northumberland Fisheries Museum & Pictou Lobster Hatchery, Pictou NS. The Northumberland Fisheries Museum is a great place to visit and learn about the fishing industry here on the Northumberland Strait. There is a Fisherman’s bunkhouse, a 1930’s racing boat: “The Silver Bullet” and over 2500 more historical artifacts. The Pictou Lobster Hatchery is the only operational lobster hatchery within Canada that is open to the public. You can even adopt a lobster! Open: 10-5pm, 7 days a week in July and August (reduced days/hours outside those months). McCulloch House Museum & Genealogy Centre, Pictou NS. 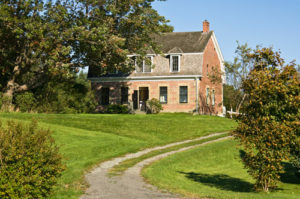 The McCulloch House Museum has many exhibits focused on Dr. Thomas McCulloch life and journey to create public education in Nova Scotia, housed in his very home! The Genealogy Centre located in the first building on the premises offers visitors the opportunity to investigate the past of local families and events. 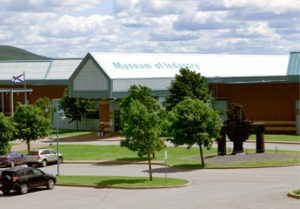 The Museum of Industry houses a number of exhibits that showcase Canada’s industrial development. They have steam engines and locomotives, some of the oldest in Canada. Open: May 1st – June 30, Mon-Sat 9-5pm. July 1-October 31, Mon-Sat 9-5pm and 10-5pm Sunday. For more information regarding our lovely town of Pictou, we do suggest you check out the Visitors Information Centre in Pictou.